Jessie J and Diane Warren have teamed up on a new song entitled "Silver Lining (Crazy ‘Bout You)." The song will be featured in the highly anticipated film "Silver Linings Playbook" which was directed by David O. Russell and stars Jennifer Lawrence, Bradley Cooper, and Robert DeNiro. Written by Oscar nominee, Golden Globe and Grammy Award winner Diane Warren, the song draws inspiration from the complicated friendship-turned-romance between Bradley and Jennifer's characters. 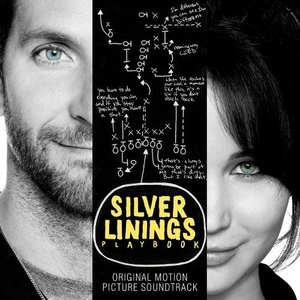 The Silver Lining (Crazy ‘Bout You) Singleand the complete Soundtrack of Silver Linings Playbook are available from Sony Music on November 19, 2012. Warren decided to bring the UK's hottest new female talent, Jessie J, to the recording studio for this powerful song along with Grammy Award-winning producer Rodney Jerkins who recorded and produced the song. Warren commented,"I'm ecstatic about this song and this movie. I couldn't think of a better person to record [the song] than Jessie. She's not just one of the greatest singers of her time but one of the greatest singers I've ever worked with. I can't wait until people hear her amazing vocal." Jessie, whose debut album "Who You Are" sold over 5 million copies, is currently working on her second album and is just as thrilled to be involved with the film. "To be given the opportunity to work with such inspirational people such as Diane Warren and David O. Russell is a dream for any artist. I was humbled and honoured when asked to sing the soundtrack song for Silver Linings Playbook – something I have never done before and a treat for my fans while they are waiting for my second album. It's a beautiful movie and I'm very blessed to be a part of it," she said. Executive Producer Harvey Weinstein shares in the excitement and said, "I have worked with Diane Warren on several movies, and every time I am blown away with her talent in writing the perfect song for our films. We are thrilled Jessie J agreed to come on board and sing Diane's beautiful lyrics – she's unbelievable and has been a great collaborator." "Silver Lining (Crazy ‘Bout You)" is not the new single from Jessie J's forthcoming album, but it will be available for fans to buy as a single track and as part of the Silver Linings Playbook soundtrack album. It will be digitally released on November 19 along with a new video featuring Jessie J and directed by Andrew Logan. "Silver Lining (Crazy ‘Bout You)" and the Silver Linings Playbook original soundtrack featuring Jessie J, Alabama Shakes, Danny Elfman and Bob Dylan are available to pre-order online at iTunes. This comedy drama won the People's Choice Award when it premiered at the Toronto International Film Festival and is hotly tipped by critics for further awards. The movie is about a former high-school teacher (Bradley Cooper) who returns to his family home after months in a mental institution and tries to get his life back on track. He finds a new relationship with Tiffany (Jennifer Lawrence) to be full of pitfalls, as neither has broken free from a previous partner. Silver Linings Playbook has been especially praised for its sharp humour and outstanding performances from the leading actors Cooper (Hangover, Limitless) and Lawrence (The Hunger Games). The film also features a strong supporting cast, including Robert de Niro and the Bollywood veteran Anupam Kher. Silver Linings Playbook is based on the bestselling novel of the same name by Matthew Quick and was directed by David O. Russell, best known for The Fighter (2010) which gained him an Academy Award nomination as Best Director. Sony Music is also releasing the soundtrack of Silver Linings Playbook, including two further new songs in addition to Jessie J's – by the young American rock group Alabama Shakes and the up-and-coming British indie quartet Alt-J – as well as original music by Danny Elfman (Batman, Sleepy Hollow and Alice in Wonderland) and various tracks that reflect the mood of the film. Songs include Stevie Wonder's My Cherie Amour and Rare Earth's hit Hey Big Brother, CrabCorps' version of Monster Mash, Bob Dylan and Johnny Cash singing Girl from the North Country, and two tracks from The Dave Brubeck Quartet: a version of the West Side Story classic Maria, and the legendary Unsquare Dance.